I’m super excited to share that His Christmas Miracle, new book, will be out at 12 Feb. I had many ups and downs while writing this book. In fact, I got so busy in the srory that I failed to upload the fimished 50 k words for Nanowrimo. Talk of being absent minded. This is the exception in many years when I have made the Nanowrimo goal of writing 50, 000 words in a month. I actually went on to write more than 60k of this novel before winding up. Now this sweet, tender, sensual romance is up for preorder. Do read the blurb and see if you like the story. The lead pair are Irish folks, but the story is set in Goa in India. Sharing an excerpt today from Last Man She’d Love. She choked and spluttered into laughter. ‘I was laughing at the thought of you being termed a gentleman,’ she derided. ‘We were going to have a court marriage,’ she said. ‘What do you know about her?’ She glanced suspiciously at him. ‘It’s not that – as – important as this is. I’ll have to drop the idea.’ She avoided his gaze. ‘Good thing I hadn’t given my notice.’ She attempted to say it lightly, hoping he wouldn’t pick up the strain in her voice. 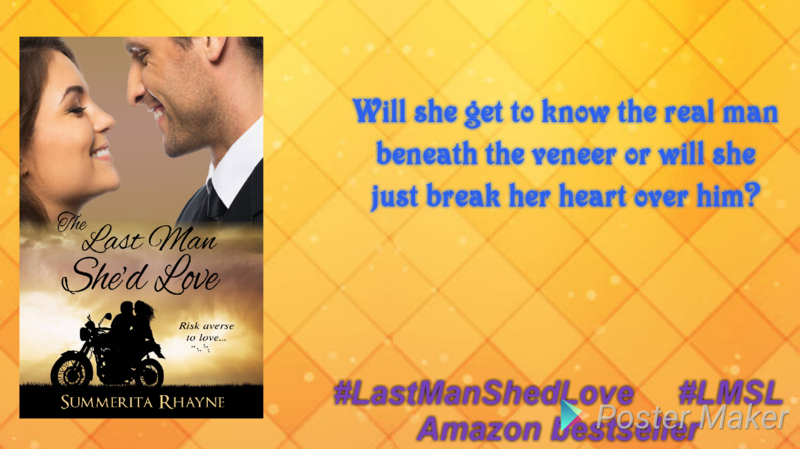 Will she get to know the real man beneath the veneer or will she just break her heart over him? A pregnant ex and a broken engagement lands Lyna in close proximity to her boss. She’s spending a week at his palatial country house, faking an engagement to him, getting upclose and personal – to him And his family. 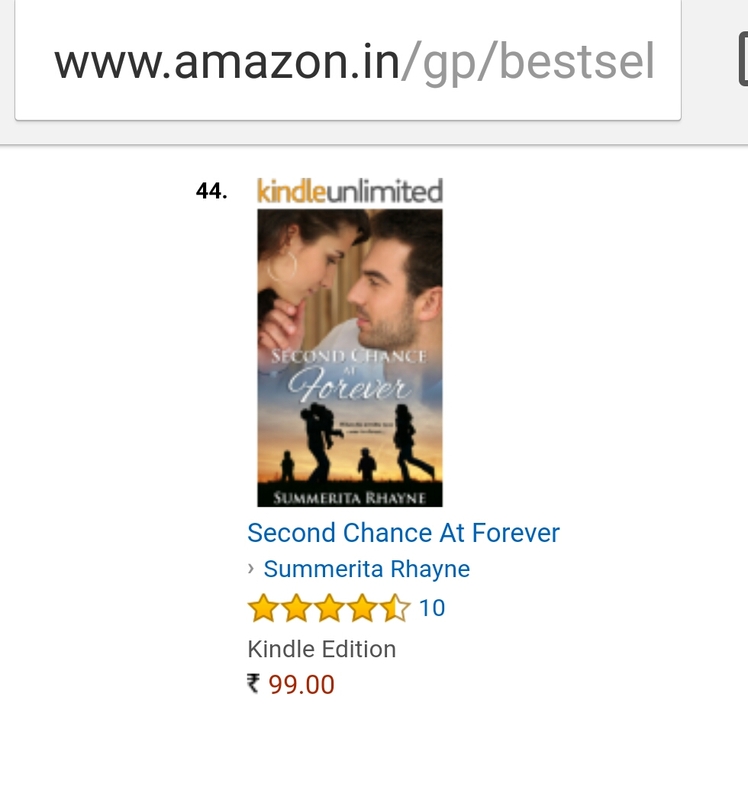 Happy to find Second Chance At Forever is in top 100 paid contemporary romances at Amazon India. Stuti loves being a mother to her triplets, but it can be a harrowing routine. She’s even more submerged in the craziness when she takes them and her mom-in-law for a trip to Rajasthan, the land of the erstwhile Thar desert royals and their palaces. After the passing away of her husband, she feels she owes it to her to take her to her favourite holiday. In the Amber Palace, her reckless toddler rushes onto a modelling shoot. As she picks up her daughter who has tripped over a gorgeous zardozi sari, her gaze clashes with that of the man she’d hoped never to set eyes on again in her life. 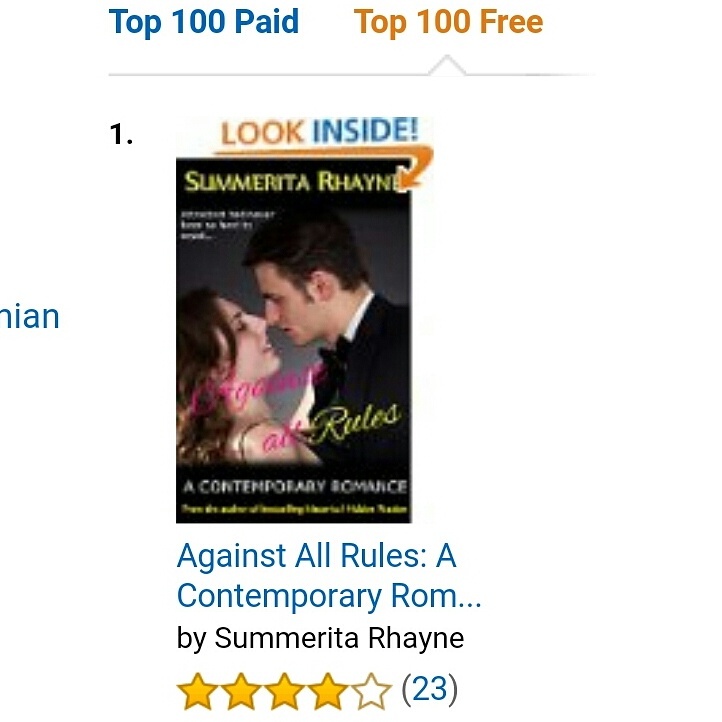 Revath was everything she wanted in a man, but six years ago he chose to walk away from her. Revath knew the moment he met Stuti again that he couldn’t just let her go. He doesn’t believe in forever, so what’s he doing asking her for a second chance? If you like share about the giveaway and if you like reading it and have a minute free, do leave a review. Excited to announce the result of the giveaway contest for short stories collection Unexpected Valentines. And the winner is….drum roll…Purba Chakraborty! Congrats Purba. 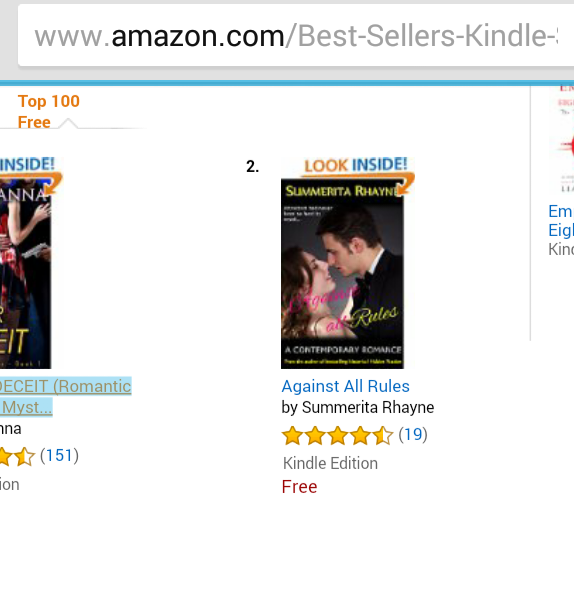 You win the ebook Unexpected Valentines, bestseller in anthologies at Amazon. 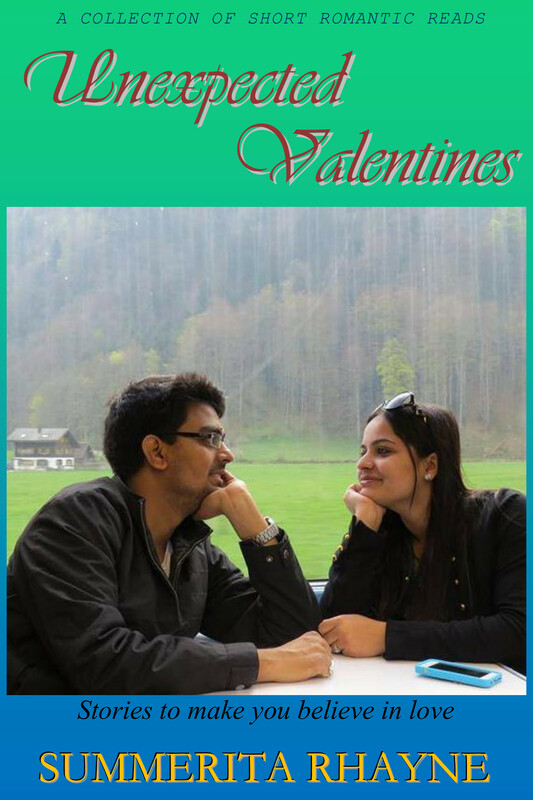 If Valentine’s Day was wiped out of the calendar, the marketers would suffer much more than the lovers. This is because lovers don’t need a “Valentine’s Day” to celebrate love. They can always celebrate it whenever they are together. Moreover, occasions such as birthdays and anniversaries are always there to make each other feel special and loved. On the other hand, the marketers target the Valentine’s week and more specifically the Valentine’s Day to make lots of money from the lovers. Purba is an author, Poet, Content Developer, Freelance Writer, Blogger and Social Influencer. If you would like to express your views to above question and take part in the contest, sent in your entry by clicking Contact me tab. The draw will be at the end of the month.